The annual Google I/O conference traditionally gathers developers to give them the sense of direction for the upcoming year. 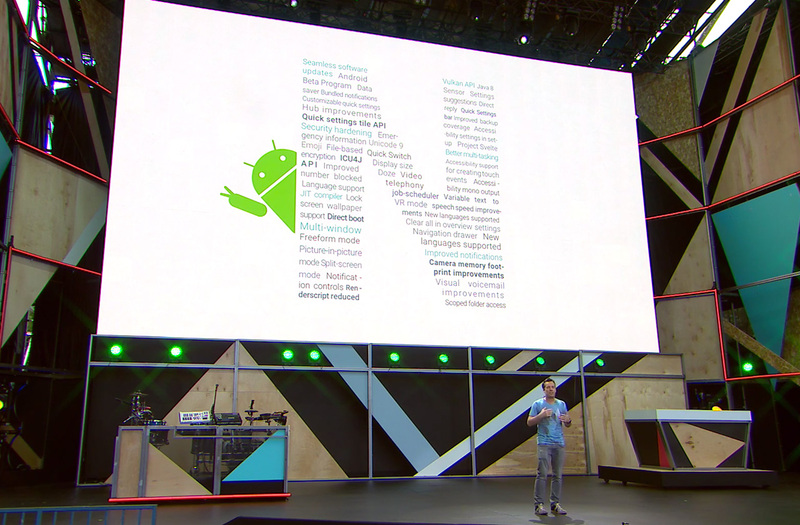 This year was no exception: The audience got some insights on the newest Android N OS. By the way, its working name is Android N, and anyone can contribute ideas for its eventual name. Other highlights: Android Wear, an operating system for wearables, got a serious face-lift; and Google demonstrated its commitment to further develop VR technologies. It’s clear Google’s interests go beyond Internet search and smartphones: Automotive technologies enjoyed a lot of attention at Google I/O as well. Google Home, a voice-control solution for the smart home, was also in the spotlight. However, Google spokespeople chose to neglect security: Representatives never mentioned that security flaws in these technologies would cause many more problems than a compromised smartphone. The final version of Android N will be out by late summer or early fall. As usual, the update promises both new entertainment features and significant improvements in performance and security. However, the majority of the tweaks will be hidden from average users — they are meant primarily for developers. Well, users should notice and appreciate a few new features. The phone “blacklist” is now part of the OS. That means different apps can use a single list of undesirable contacts that, in turn, can be saved and migrated to a new device as part of the usual backup process. More good news: First, Google improved the phone’s internal memory encryption, which is now more reliable. Second, Google considerably reworked the operating system’s multimedia handling in response to the notorious Stagefright vulnerability. 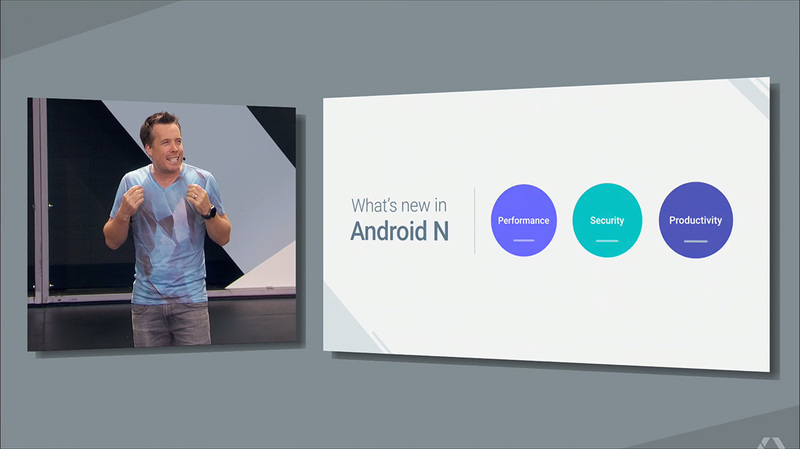 Third, starting with Android N, system updates will run automatically in the background. In other words, the system will no longer ask a user whether to install an update; it will run the updates automatically and then ask to reboot to apply the changes. Alas, in the majority of cases Android’s security problems are not caused by the user’s unwillingness to upgrade to the newest version of the OS. The main problem is that the updates are rarely available to older smartphones, so their owners have to stick to an outdated, vulnerable version of the operating system. 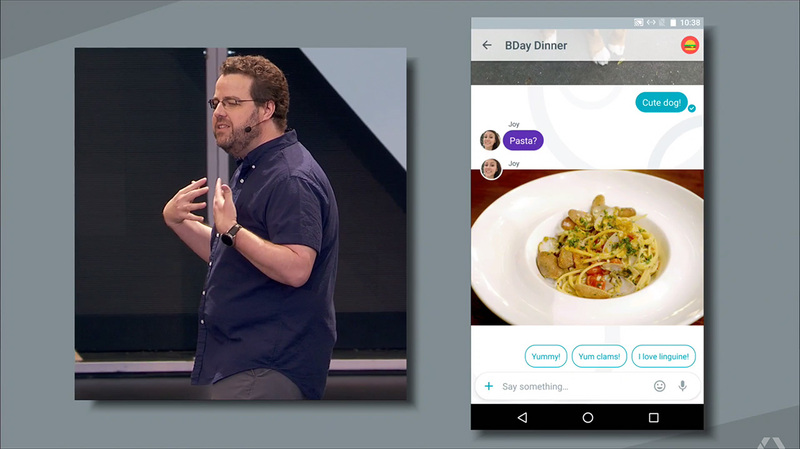 A new messenger called Google Allo should be out as soon as Android N launches. Although it won’t be a part of the operating system, Allo has a chance to win the attention of users from major players whose audiences reach the hundreds of millions. The messenger supports end-to-end encryption in chats, which is a sign of quality. However, unlike WhatsApp, which offers encrypted conversations by default in its newest version, Allo’s encrypted mode (called Incognito mode, as in Chrome) is switched on manually. Google Allo’s (arguably) major novelty is the Smart Reply feature. It suggests possible answers so you can pick the most fitting one and tap on it instead of typing it on the keyboard. In a cool twist, Smart Reply goes beyond predicting likely responses to text messages and also evaluates images sent to you by your friends to suggest suitable comments. According to Google, Smart Reply is self-learning and will adapt to the user’s style of messaging over time. Smart Reply is quite neat, especially when you don’t have time to type an answer. However, it has at least one major flaw: If an outsider accesses your messenger, Smart Reply would help the intruder mimic your style of messaging when talking to your friends by suggesting responses it learned from your own messages. Automotive systems are Google’s longtime holy grail. The company has had success both in testing new self-driving cars and in building relationships with major automakers. An Android and car pairing is now possible thanks to the Android Auto system (available for some newer makes and models), which enables navigation and entertainment and can run optimized apps on a car’s dashboard. The company showcased the Maserati Ghibli car concept with a powerful Android-based platform that is capable of much more than simply guiding with a satnav system and entertaining a driver with an onboard music system. The new car is Android-on-wheels: In addition to entertainment, the Android-based system is capable of controlling air-conditioning and the electronic dashboard. However, everyone should understand that a connected car brings with it the possibility of cyberattacks. With its notorious reputation in the security world, will Android be able to properly secure the car? At this point, no carmakers have dared to use Android in their cars, so there’s still some time to improve the platform’s security before it hits the road. 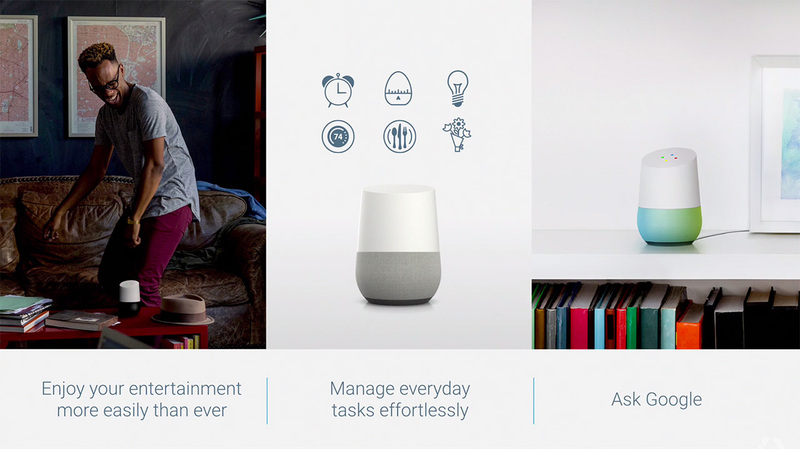 Another significant announcement at Google I/O was Google Home, a voice-controlled assistant for home environments. In essence, the gadget is an all-purpose, voice-controlled interface for Google services; in fact, it’s a small, Wi-Fi–connected device with a microphone and a speaker. Google Home does not have a single button. All interaction with Google Almighty is performed using voice control: You either ask a question or give a command, and Google searches for the requested information, books a table at a restaurant, purchases a ticket, turns on a light at home, and so forth. The Internet of Things has been a hot topic for some years now, so it’s no wonder Google is becoming increasingly active in this market. However, with the increasing number of always-on connected devices, the risks increase as well. When one master device controls other home appliances, those risks grow exponentially: if hacked, the master device might become a catastrophe for your home.